rom controversial to mainstream. When Jean-Nicolas Méo at Domaine Méo-Camuzet in Vosne-Romanée looks back he can see that the philosophy of his teacher, the late Henri Jayer, is no longer mysterious or revolutionary. – At the time the wines of Henri were so different from the others that people thought he had a trick, explains Jean-Nicolas Méo. So there were rumours, and eventually it was discovered that there was no trick. There was a recipe, but no trick. The whole thing was about good care of the vineyards and good winemaking. Today the spirit of Henri Jayer lives on at Domaine Méo-Camuzet, slightly modified, slightly evolved. Time, research and personal preferences have made their mark. 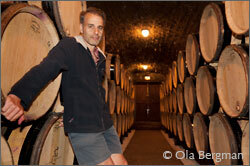 Jean-Nicolas Méo is walking around the domaine's large cellar, pulling samples from the barrels. Everything from the domaine's only white, the Hautes-Côtes de Nuits Clos Saint-Philibert, to the mighty reds from Richebourg and Clos de Vougeot, and of course the more or less mythical, and almost non-existent Vosne-Romanée premier cru Cros Parantoux. – Of course, my own taste has evolved a little bit, he adds. Perhaps I like wines with a little bit more tannins than Henri, wines that are a little bit more firm. – But the general principles, with a lot of fruit and very accessible and silky wines, are still the same. 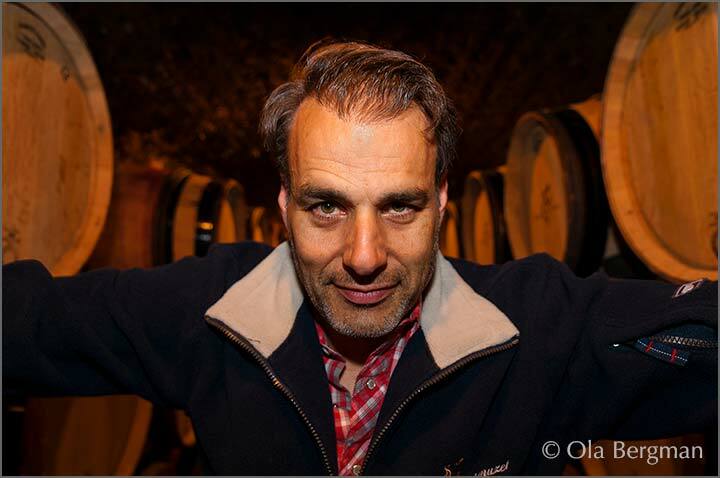 It was in 1989 that Jean-Nicolas Méo decided to move from Paris and take on the family domaine in Vosne-Romanée. Up until then the family had just been owners, not involved in any production of wine. But facing a situation with new taxes and tenants wishing to become growers themselves the Méo family had to decide whether to sell or to move to Vosne-Romanée. – When you have métayage you and the tenants share the crop. When you have fermage, farming, the owner of the land is paid a fixed amount that is much lower than with métayage. So the dilemma was that we needed someone on the spot or we would have to sell. 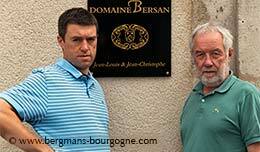 – It didn't take much to realise how undervalued the domaine was at the time. 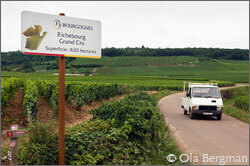 There were a number of great appellations, but it was all sold off to négociants. On his arrival in Vosne-Romanée Jean-Nicolas Méo knew little about wine. 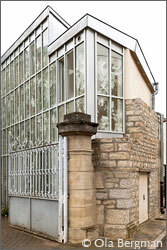 The domaine consisted of the vineyards and the building, but practically no equipment since others had been making the wine. During the ten years that followed he worked with Henri Jayer, more closely the first years than later on. He feels that his arrival in Vosne-Romanée was very well-timed. Before the mid-eighties it would not have been the same. There had been a change of generations in Burgundy and new ways of working were coming into use. 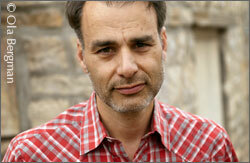 – Guys like Roumier and Lafon had already started to make wine and to do things differently, says Jean-Nicolas Méo. It was no longer just about working the vineyards and then waiting for the harvest to come. – Of course, this sounds a bit unfair to say, that their fathers had that tendency. But still, it was the tendency of the older generation. It was a very difficult job then, because you were totally dependant on nature. – The mentality was that work was so hard, nature so difficult, so when you had a big harvest it was bonanza. Today we take the time to green-harvest and to use a sorting table. That would have been unthinkable for them. – I think that that generation did not realise how technical progress quite rapidly was corrupting their trade. It was so difficult to weed the vineyards, so when the herbicides came it was great. But what about the consequences? The tractor was great, but what about the soil? Fertilisers were great. But what about the fact that yields were increasing year after year? They did not think about it, and how could they? 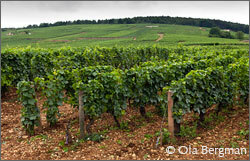 In 2009 Domaine Méo-Camuzet took on two new parcels of Corton, Perrières and La Vigne au Saint. 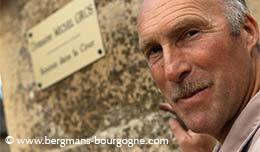 Already in the domaine's portfolio is the Corton Clos Rognet. The three wines are bottles separately. Jean-Nicolas Méo tells a story about Aubert de Villaine at Domaine de la Romanée-Conti. When the domaine recently acquired some Corton he was asked about his expectations for the new wine. – He said he didn't know, says Jean-Nicolas Méo. It's the same for me. I don't really have a clear picture of what I want to do with it. The general principle is that we wait and see what we can do. We see what we have and then we work around that. If you have a certain type of Corton you have to respect that. You have to see what you can improve without modifying it. 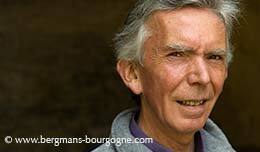 He describes the Corton La Vigne au Saint as a truly appealing and easygoing wine that he is very happy with. He might try to add a little bit structure-wise. Tighten the wine a little, without loosing the appealing character. – The Corton Perrières is almost the reverse. It's a severe, upright and long wine. We'll try to loosen it up a bit. It's great as it is and we don't want to change the character of the wine. With the arrival of Domaine de la Romanée-Conti on the Corton hill and the acquisition of additional parcel there by Domaine Méo-Camuzet Jean-Nicolas Méo hopes that the image of Corton will improve. – I hope so because red Corton is unfairly underrated, he says. I say unfairly because it is really a great terroir. Our Corton has always been one of the best wines of this cellar. But even if Domaine Méo-Camuzet is the home of several nice grand crus – Richebourg, Clos de Vougeot, Échezeaux and the three Cortons – it is a premier cru that is most tightly connected with the domaine. 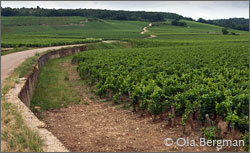 Vosne-Romanée, Cros Parantoux, was brought back to life by Henri Jayer when he cleared and planted it after the war. Since then the Cros Parantoux has become a highly sought-after wine. The annual production at Domaine Méo-Camuzet is tiny, between 600 and 1200 bottles, depending on the vintage. Often regarded as grand cru in quality there is of course never enough bottles for the market. Even on the domaine's own website it says "Officially a premier cru, but possessing the class of a grand cru". 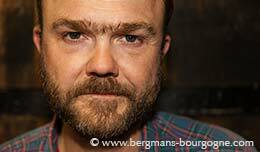 But despite this Jean-Nicolas Méo does not nurture the idea of having it re-classified as grand cru. – I don't think we have the history behind it to have it re-classified. I think it is impossible because if it would happen people would say "why not Malconsorts, why not some Suchots?". – With La Grande Rue it was different, because it is right in the magic quarter. There was actually a second request a few years after that, which was denied. It was a request for having the premier cru Vosne-Romanée, La Croix Rameau, re-classified. The Cros Parantoux is located immediately upslope of Richebourg. But despite this Jean-Nicolas Méo finds them very different in character. – At the same time they share a kind of feature that is the appeal, the character, of the wine. When we do vertical tastings of these two wines it is very clear that you have the same spirit in them. The Cros Parantoux is more rustic and you could say that the Richebourg has more class. Technically it is a difference in acidity. There is less acidity in the Cros Parantoux. But you have the same appeal, charm and fruit. Perhaps a little less seduction in the Richebourg. 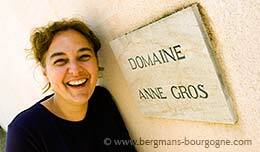 One could say that the Cros Parantoux is a younger woman than the Richebourg.